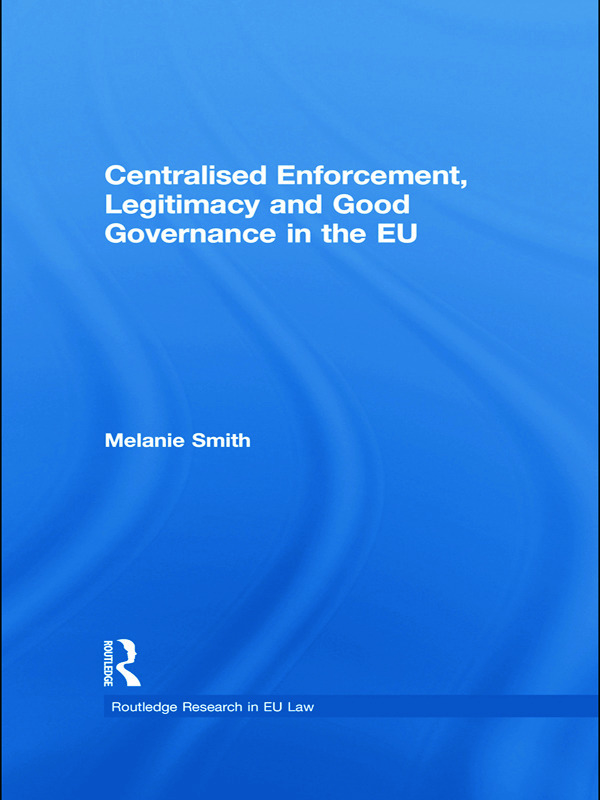 Centralised Enforcement, Legitimacy and Good Governance in the EU is interdisciplinary in nature, examining law in its political context. It focuses on how the institutions interact and react to competing policy pressures, and explores the tensions that lie at the heart of legitimacy in the actions of public actors by engaging with concepts such as democracy, legitimacy and good administration. Scholars and policy-makers whose work explores Article 226 will find this work especially relevant. It will also appeal to those who are interested in enforcement and regulation in the international/EU arena, as well as those whose work considers concepts such as good governance, legitimacy, and accountability in the EU. It is also relevant to scholars engaged in the study of institutions and processes of interaction and change.